What a great week! There is so much going on over here, and we love it. Yesterday, the May issue of Wedding Ideas Magazine came out, which features us so beautifully in an 8-page spread! We also have images sprinkled throughout the entire magazine, which is an added, unexpected bonus! If you haven't seen it yet, make sure you run out to buy a copy so I can sign it for you... kidding, but I would if you wanted me to... but still kidding... If you are outside of the UK, check out yesterday's blog post to see the full feature. 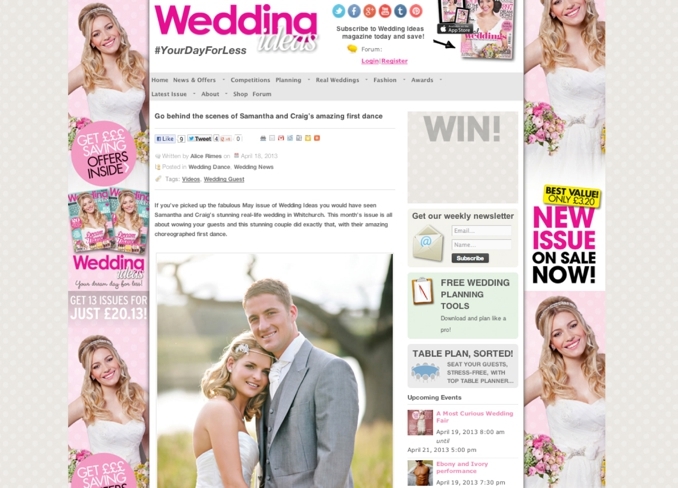 Anyway, jump on over to Wedding Ideas Mag's blog to read the full post, HERE! As always, a huge thanks to Alice from Wedding Ideas!